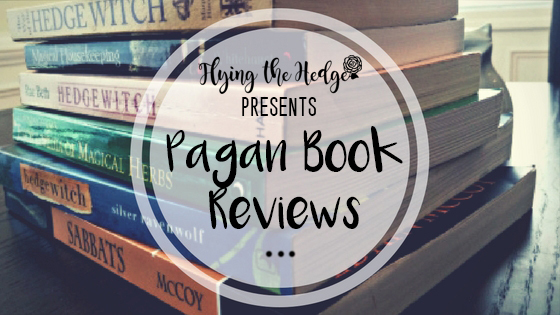 It has been a while since I have written a book review, hasn't it? I purchased The Modern Guide to Witchcraft: Your Complete Guide to Witches, Covens, & Spells by Skye Alexander back in January and started right away. However, it got set aside when I decided to purchase a whole bunch of fiction books too. Habit. A bad one. An addiction really. Anyway, I finally finished, and I have to say, I really liked this book. I give it 4.5 stars. Why not 5? Well, I don't believe this is a MUST have book, although I do think it should be on your shelf. It, like most books, is an introductory guide to modern day witchcraft and much of the information is covered in other texts as well. So let's talk about what I didn't like before delving into all the great things about it. First of all, I'd take the history with a grain of salt. 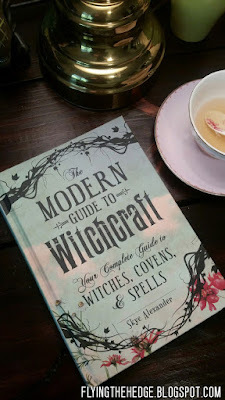 I'm not expert on the history of witchcraft so I can't say for sure how accurate the information is in this book, but Skye is a reputable author and I assume she has done her homework. However, always take caution when it comes to a history lesson. ; just a general rule of thumb. There isn't a bunch of history in this book as its focused on witchcraft today so you don't have too much to worry about in that regard. Second, she lumped hedgewitches in with kitchen witches, a mistake many authors seem to make that drives me INSANE! Hedgewitches and kitchen witches are NOT the same things, although she does mention shamanism and trances, common practices in hedgecraft. This is part of the reason it has 4.5 stars. As well written and researched the book is, this section is false. There is also a section on "spirit" animals that bothered me. She has written a book on spirit animals, but I am not so sure she knows what she is talking about, at least not in this book. She makes it seem like you can pick your spirit animal to aid in certain magic, but in most traditions, the animal picks you and stays with you; it doesn't change because you are casting a protection spell instead of a love spell. Some people have more than one, while others spend much of their lives searching for their one. I'd ignore that section if I were you. So what did I love? Well, almost all of the book really. It is very easy to read, fun, and accessible to everyone. Unlike many other books on witchcraft, this is not a book on Wicca; this is very simply witchcraft, although some reviewers have suggested it is Wicca in disguise; I strongly disagree. She does mention some of the different paths around the world and encourages readers to experiment and find the path that works best for them. Furthermore, she makes it very clear that magic comes from within you and not from some outside force. Other authors suggest running out and buying a metaphysical store, but not Skye. 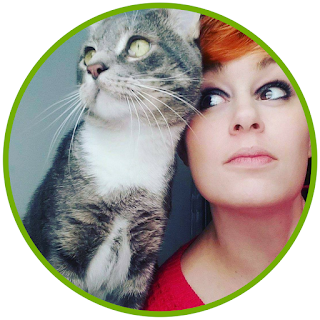 She provides overviews of some common ritual tools and correspondences of different crystals, herbs, trees, and times, but makes it very clear magic can be performed anywhere by anyone with absolutely nothing. I couldn't agree with her more. The spells and rituals in Part II are easy to perform and great for beginners and experts alike. Within these sections, she provides ways to make the spells and rituals your own, something other authors don't always encourage. Remember, witchcraft is what you make it. There are no rules other than to be clear and concise in your intent. Furthermore, she encourages readers to do a lot of self-reflection before performing spells to ensure the correct intent is there. For example, in the prosperity spell section, she asks the reader to complete 9 sentences, sentences that are specifically designed to define your ideas about prosperity and what it means to be successful. Every spell section begins with an activity like this one which I think is great, especially for beginners. Overall, I suggest everyone, new or old, pick up this book. It isn't perfect, but to be quite honest with you, it made me feel proud to be a witch. Maybe I'm just crazy.